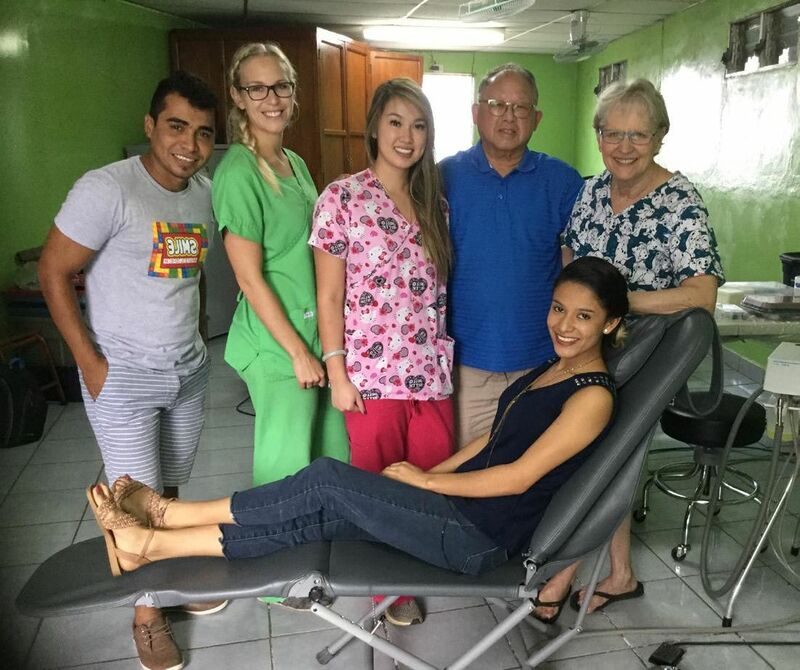 This was the first year that we ran our clinic for six weeks consecutively in Managua. Bev and I arrived on a Tuesday and we welcomed our first team, Bailey and Brenley on Friday to begin working on the Monday of the following week. The girls stayed at the Hotel Europeo, about 2 km from the dental clinic in the Barrio of Edgar Lang. Bev and I stayed in the apartment at the FUNDACCO office, about a half block from the dental clinic. Every Friday, one team would leave for Granada or a small holiday and Bev and I would travel back to the Best Western to check in and wait for the following team to arrive, to begin the process over again. We would arrange tours of the Malecon (the pier area on Lake Managua) where there are different displays and museums. Next to this is an area for restaurants that have become not only popular with tourists but also the people of Managua. Every morning the team members would be picked up by Luis or Rafael to be transported the dental clinic. Working hours were usually 8:00 AM to 5:00 PM with lunch being around 12:30 PM to 1:30 PM. The teams were transported back to the Hotel Europeo where I’m sure the pool was put to use as the average daily temperature for our 6-week mission in Managua was 31 to 34 C. It was a good time to be away from Alberta. We had a very good mix of our teams. Usually, the teams consisted of a dentist, dental assistant, and dental hygienist. There were exceptions. The first week we had the two hygienists. Week two we had one dentist, his assistant. We were joined by a local dentist, assisted by Bev, who worked a number of days with us. Week five we had a dentist and two hygienists who alternated assisting the dentist. Week 6 we had a dentist, assisted by two young people, two dental students and a University of Alberta Professor to supervise the dental students. Thomas who was flying in that evening. We supplied the interpreter, Victor for week one, Rafael for weeks two to 5 and week 6 we had two people on the team that were Spanish. And of course, there was Rosa our sterilizer extraordinaire. People from the Barrio had started to book appointments in September of 2017. By the time we arrived, most of the appointments had been filled for the entire 6 weeks. Our teams worked extremely hard. We averaged around 15 patients a day. Although we do have air conditioning in the clinic, the coolest temperature we were able to obtain was 28 C.
What we are most proud of is the number of teeth that we were able to save. Only 11 % of the 660 procedures completed were extractions. We saw a total of 393 patients. 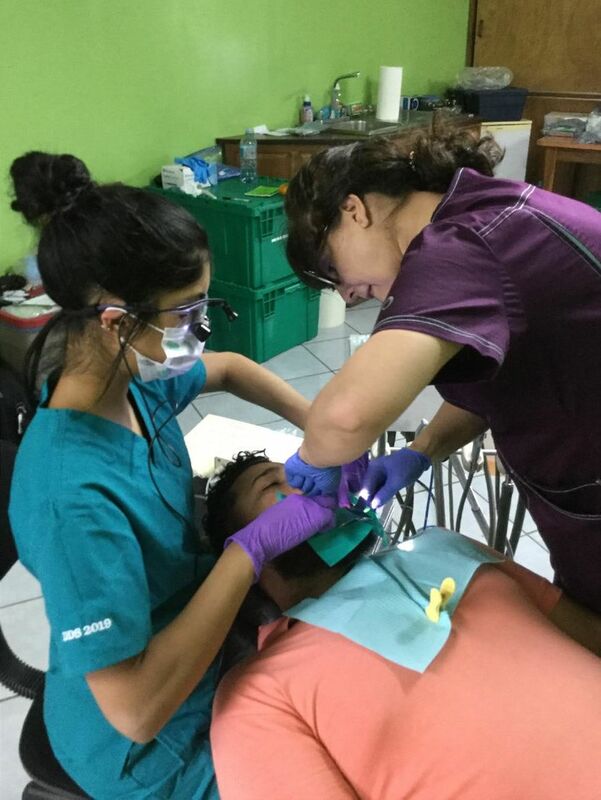 When we first started doing dental missions in 2001 in Nicaragua, the largest percentage of procedures completed, were extractions. The Barrio of Edgar Lang is composed of approximately 300 families, about 1500 people. They are the working poor, most of them underemployed. We do charge a minimal amount for our work there, but the money goes to FUNDACCO to help finance their programs of assisting the poor. The girls stayed at the Hotel Europeo, about 2 km from the dental clinic in the Barrio of Edgar Lang. Bev and I stayed in the apartment at the FUNDACCO office, about a half block from the dental clinic. Since our arrival back in Canada, the political situation in Nicaragua has changed extremely. Since the middle of April, the residents of the country have been protesting against the government led by Daniel Ortega. There have been a number of deaths, with over 70 protesters having been killed. The protesters and the government have been in negotiations the past week (middle of May), but it does not look hopeful. The pressure is on Ortega to resign, but it will depend a lot on who the army decides to back. I would think there is only a 50/50 chance of us being able to operate our missions next year. It is sad because, until this uprising, Nicaragua was the safest country in Central America to visit. I did not want to end on a down note. Through the effort of Dr. Tinka Kornerup, from the University of Alberta and her amiga, Dr. Catalina Mendez, an endodontist from Colombia, SA, arranged a meeting with Dr. Nidia Roa, the Dean of Dentistry from the Universidad Americana de Managua. 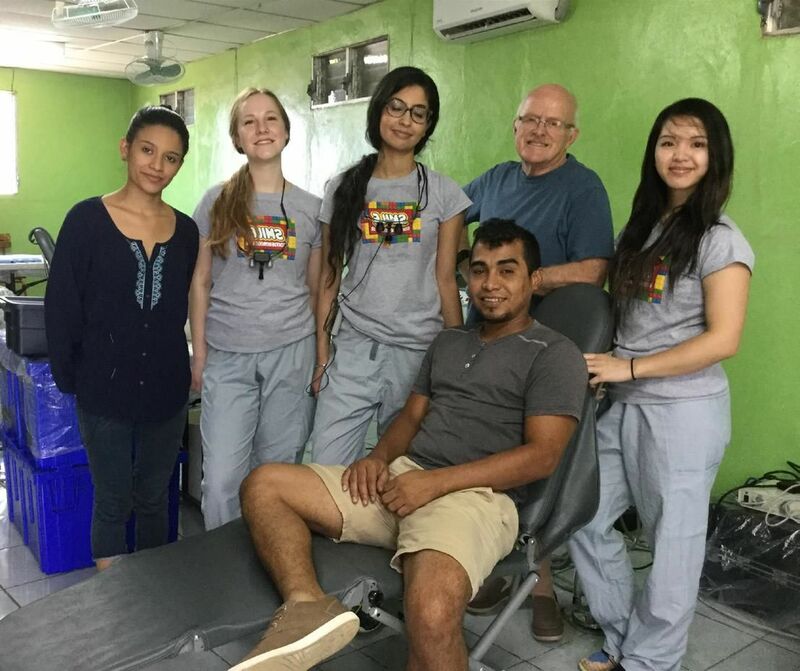 We were hoping to set up a program similar to what we have in Comitancillo, with the Universidad de San Carlos, Guatemala, that send a 5th-year dental student to work in the community for 8 months. With Luis Enrique Cruz, we had a very good meeting. 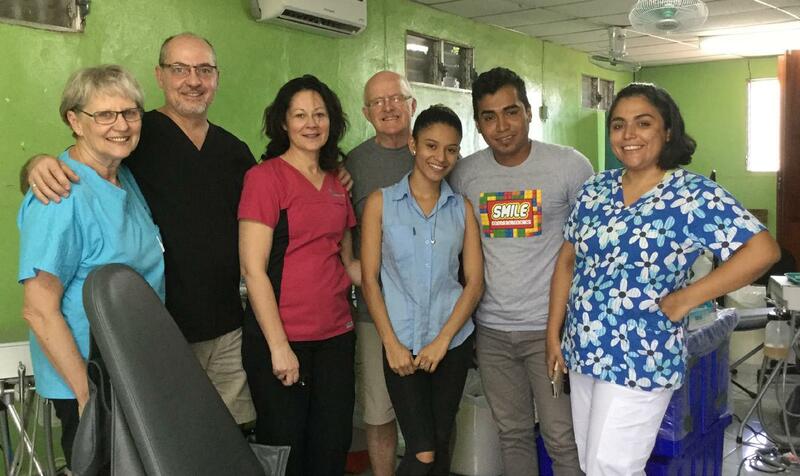 Dr. Roa was open to beginning such a program in our clinic in Managua in April 2019. We will be exploring this possibility further with Luis Enrique, who arrives for his annual visit to Alberta for two weeks at the beginning of June. Each year, Bev and I are humbled by our volunteers who travel with us to Nicaragua. 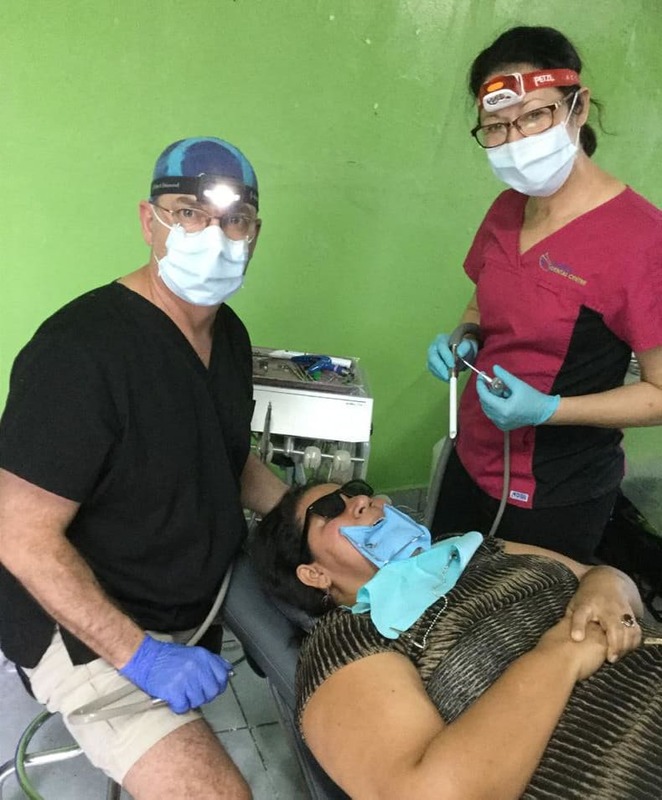 We cannot say enough about our volunteers who give up their time, at their own expense to travel to a foreign country and work in providing a service to those who would be unable to afford proper dental care. And we thank all of our donors who provide money to expand our services and allow us to keep our expenses down. Our missions only succeed because of all these great people. Our new website will make you smile!